I think something happens when you’ve been in a relationship for a good amount of time. You both get comfortable and realize that it’s not a great idea to spend a hundred dollars each weekend to wine and dine each other, or to blow your budget to surprise each other with grand romantic gestures. When we let our limited budget determine the quality of our love life, however, that’s when romance goes out the window. You don’t need a lot of money to have romantic date nights with your significant other, though. In fact, here are my top three favorite cheap and romantic date ideas! My husband and I love to get away to our local Barnes and Noble. We get a stack of our favorite magazines and either a dessert or coffee to share, and just enjoy each other’s company. Both of us will look up every few minutes to share an interesting thought or just to talk, and when we read our fill, we put the magazines back and finish talking. Is this date cheap? Yes. Romantic? I guess it depends on your definition. Maybe to an outsider it wouldn’t look romantic to see my husband tell me about the latest computer hard drive that came out, while I ask him if he’s willing to try a new Paleo recipe I found, but it’s right up our alley. It also helps us reconnect and talk about something other than our two sweet girls for a change. We went to a marriage retreat last year, and the speaker shared of a time his wife surprised him. He was having a stressful week, and when he came home, he found a piece of paper that said “Paradise” on their bedroom door. The wife had dimmed the lights in the bathroom, made a hot bubble bath, lit candles, and had soft music playing. I took that story to heart and have made that same atmosphere after we got the kids down for the night. The warm water and candlelight make it such a wonderful way to relax and unwind from the stresses of our week. Your definition of paradise might be a little different. Just create a special night for the two of you that includes your favorite things. Whenever I would read the suggestion about playing board games as a date, I just laughed. That was before I realized how many good games are available. Our favorites are Ticket to Ride, Settlers of Catan, and Small World. These board games aren’t cheap, but they offer a lot of replayability and can be played in larger groups, too. Now that we have the games in our collection, we can quickly have a date night for free. We also like to do those mystery jigsaw puzzles. You can probably tell that there’s a theme to what my husband and I consider a romantic and cheap date night. We just love to connect with each other and talk over relaxing activities. 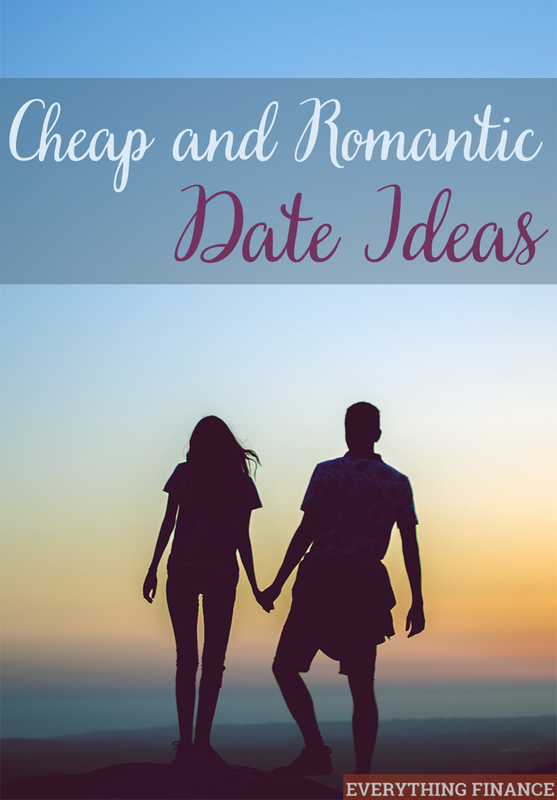 This may not be romantic to you, so here are several other cheap ideas to try. Truthfully, it doesn’t matter what you do, as long as you and your significant other make time for each other and do things together that you both enjoy. What is your favorite cheap and romantic date night idea?